The (Fairytale) Retelling Challenge 2016 is hosted by Mel @The Daily Prophecy. Another challenge that comes to an end with the end of the year. I was really hoping to have read more retellings that I did -but I was also hoping to read 70 books and I only ready 56. 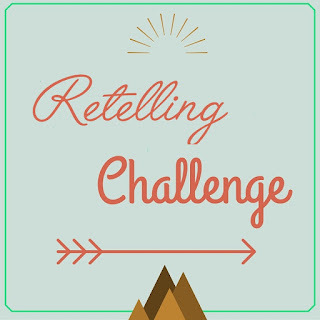 Sadly, Mel won't be hosting this challenge next year, but I really hope someone hosts it (I'd, but my blog is so small that no one would join in). Well, so this year I read 16 retellings, less ten that I wanted to, and I got the Wise Princess badge.